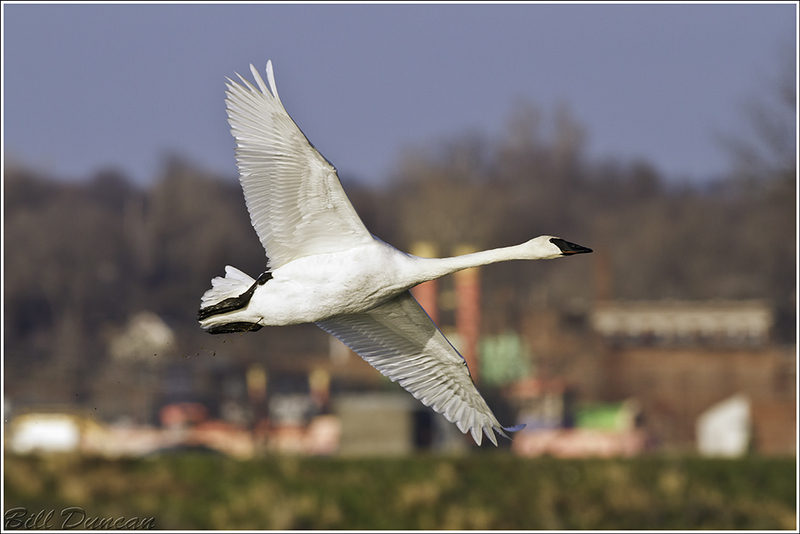 Missouri is home to three giant white swan species that can be difficult to distinguish without a bit of training or education. 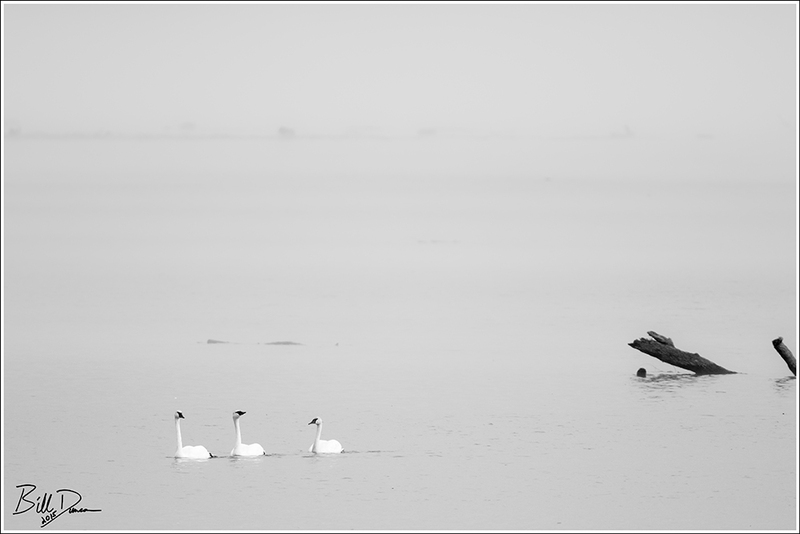 All three swans belong to the genus Cygnus and rank among the largest waterfowl on the planet. 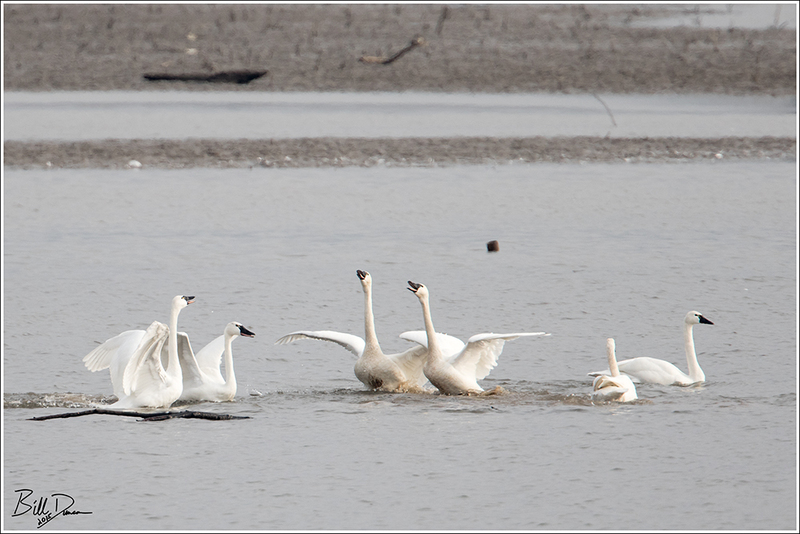 The first species we will consider is the Trumpeter Swan (C. buccinator). 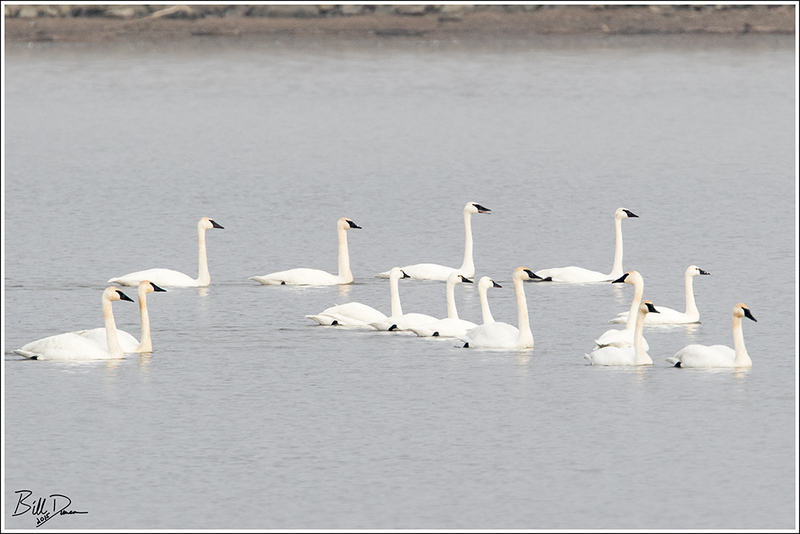 Ranked as both the largest waterfowl species in the world and the largest flying bird of North America, the Trumpeter Swan is considered a conservation success. Beginning in the 1600s the birds were collected for their meat, skins and feathers. This unregulated slaughter lasted until the passage of the Migratory Bird Treaty Act, which provided the species some protection. 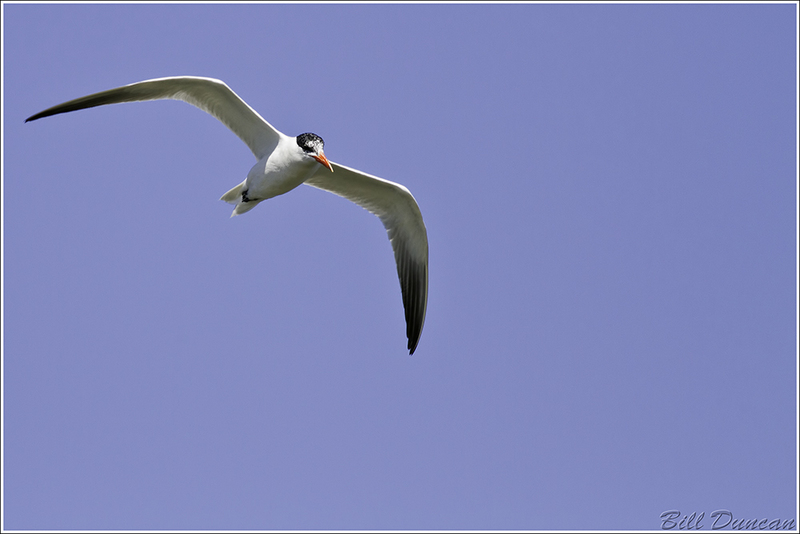 Their population rebounded from a level as low as 32 birds documented in 1932 to 15,000 – 20,000 estimated today. Trumpeter Swans only winter in Missouri, spending their summer nesting season from the upper great plains up to Alaska. As many as 600 birds have been counted at Riverlands Migratory Bird Sanctuary during a winter season. 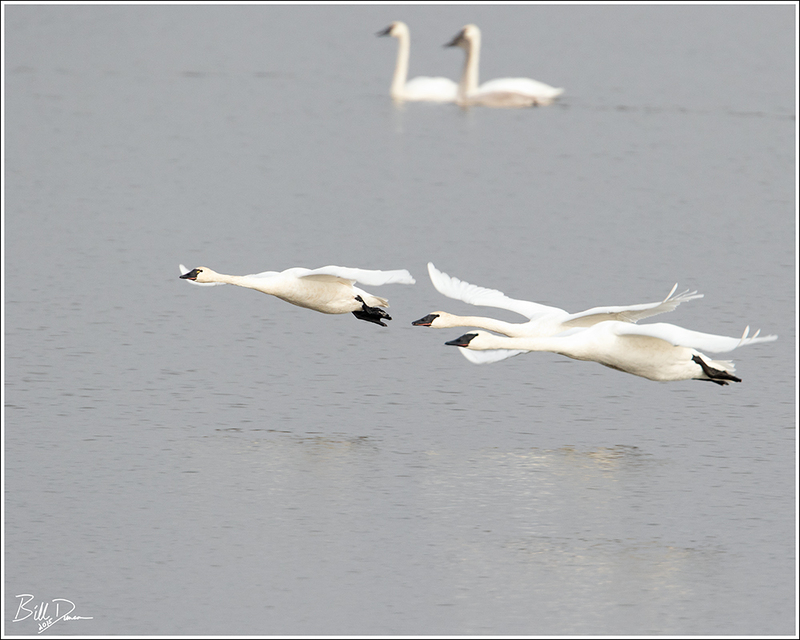 The Tundra Swan (C. columbianus) are more widespread across North America compared to its larger relative, the Trumpeter. And, although they far outnumber the Trumpeter in total population, the Trumpeter is actually the more abundant winter resident in Missouri. For reasons unknown, this winter we have seen an unusually high number of the comparatively rare Tundra, giving birders something to be excited about. In single species groups, especially at a distance, the two species can be challenging to tell apart. However, when seen up close and spaced closely together, the differences are more easily identified. On average, the Tundra is 1/3 to 1/2 the size of the Trumpeter. In addition the border of the black color surrounding the bill is different in the two species and the Tundra usually has a yellow spot on the lores, near the base of the bill. I’ll guide you to your favorite field guide for more specifics. With this information, can you spot the four Tundras in the image below? 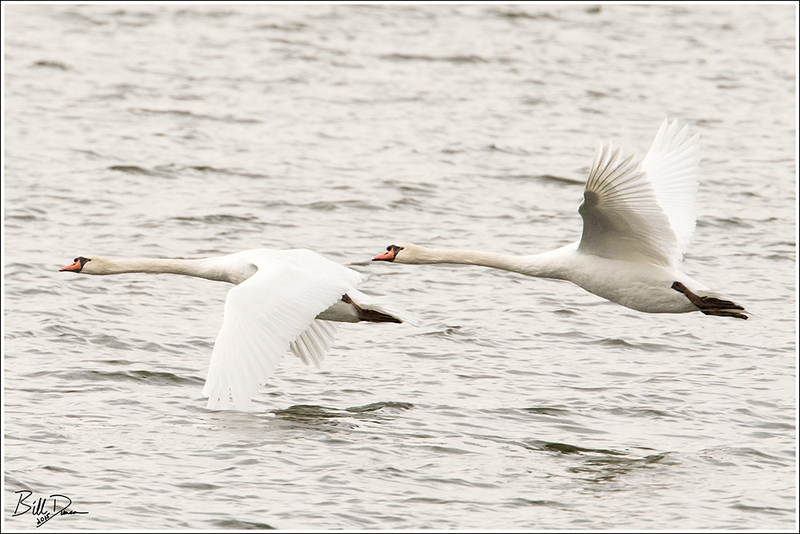 Here is a closeup of the two species in flight. Easy to spot the Tundra here. Right? 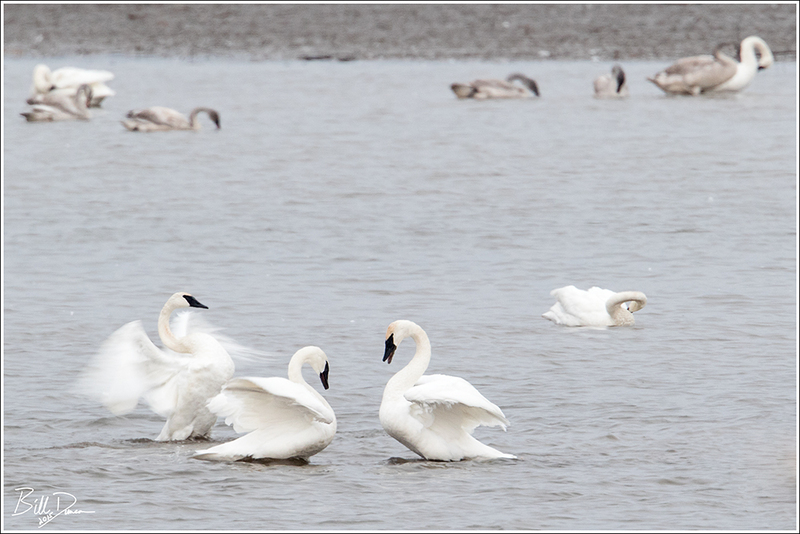 Finally, our last (and quietest) of Missouri’s Cygnus – the Mute Swan (C. olor). 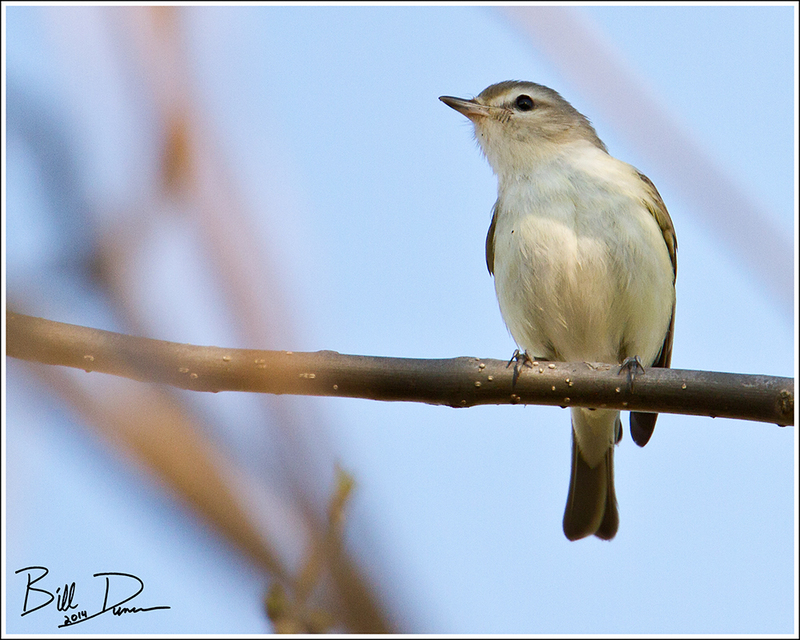 The Mute is native to the old world and exists in North America as a naturalized resident. Still raised and sold on the captive market, the Mute is typically a year-round resident in these parts, moving only to find open water in the dead of winter. These birds are easily recognized by the large, orange-collored bills, often with a bulge at its base. 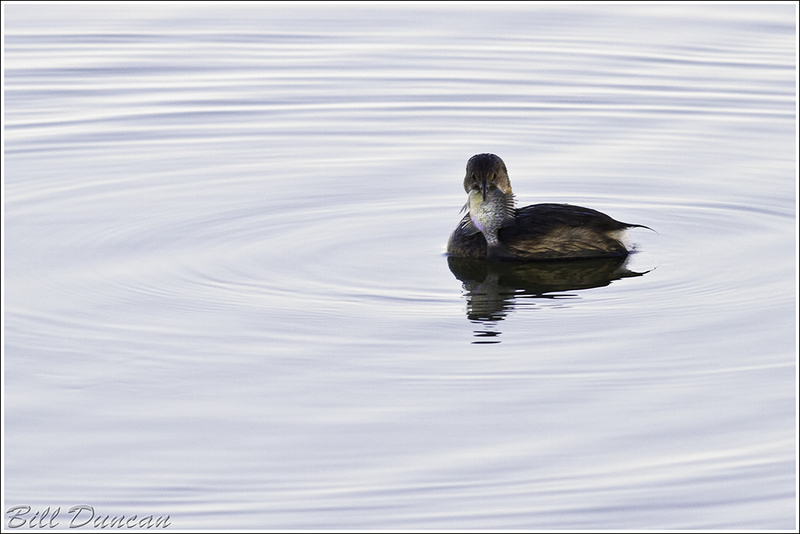 I photographed this pair at Binder Lake S.P. There you are, a quick overview of the Missouri’s white giants. 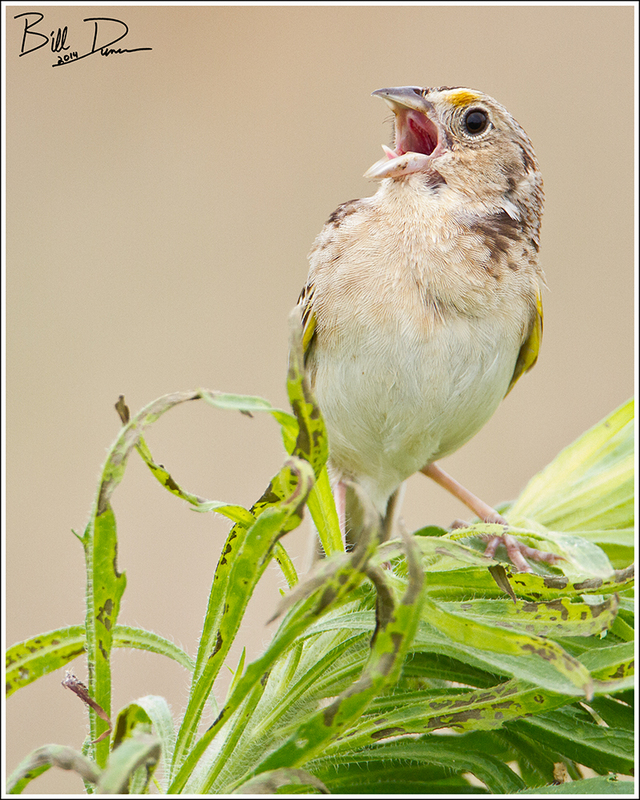 Sarah helped me nab this shot of a singing Grasshopper Sparrow recently at Confluence State Park. 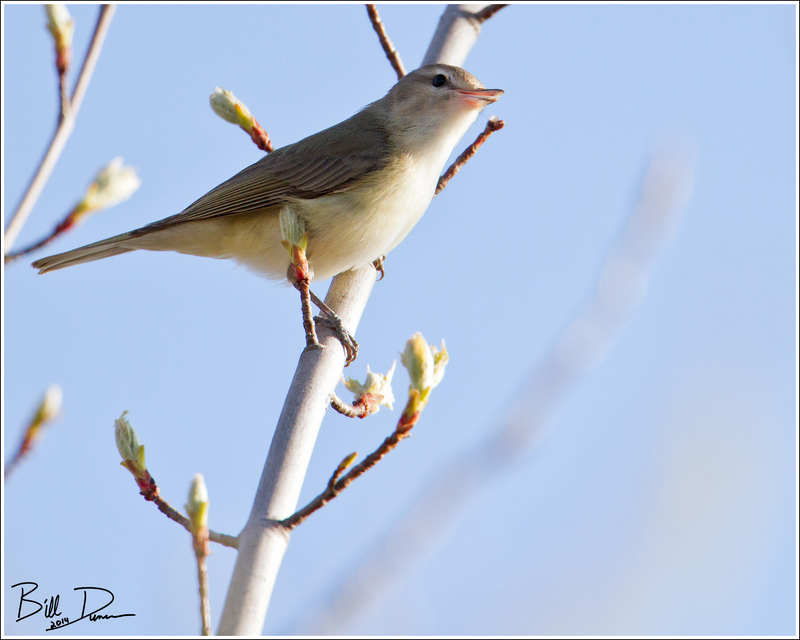 It was interesting to me that out of such a large area of potential habitat, the only two birds we had singing this day were right on top of each other. 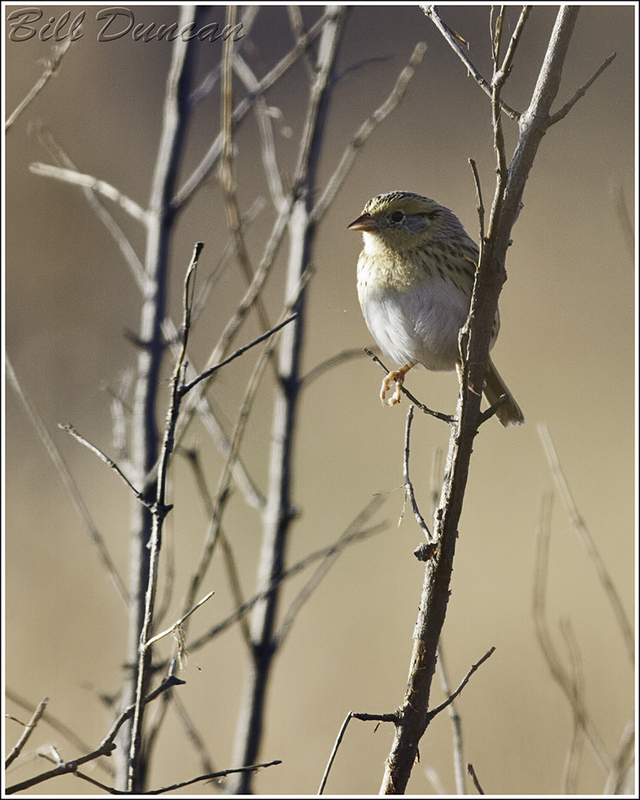 -The first nest of the Le Conte’s Sparrow was was not discovered until almost 100 years after the bird was first described by science.